April 15 is the Deadline to File an FBAR (FinCEN Form 114) and IRS Form 8938 – Are You Prepared? Financial or taxes fraud. Business report and magnifying glass. According to a press release by the Department of Justice, a Florida landscaper was recently indicted and arrested on several charges of tax fraud. According to his indictment, Joseph Ferry III owned and operated Ferry Enterprises, Inc. and served Martin County and Port Saint Lucie, Florida. Ferry Enterprises provided commercial and residential landscaping services for business and local municipalities. The indictment alleges that between 2012 and 2016, Ferry used monies paid to Ferry Enterprises’ bank account for services the landscaping firm had performed, for his own personal expenses, including payments on the mortgage of his personal home, the payment of personal loans, the purchase of weapons, and fine jewelry. Finally, the indictment further alleges that Ferry withdrew more than $2.9 million from his business bank account. Ferry was charged with five counts of filing a false corporate income tax return and five counts of filing a false individual income tax return. Although it may not immediately be clear to those unfamiliar with tax laws why Ferry’s activity was illegal, using a business’s bank account can lead to serious tax fraud. Ferry’s use of Ferry Enterprises’ bank accounts to pay expenses resulted in deductions being taken on Ferry Enterprises’ federal income tax return for “business expenses” that, in actuality, related to Ferry’s personal obligations. Additionally, Ferry effectively received additional compensation from Ferry Enterprises that he did not account for on his personal income tax return. If he is convicted, Ferry may face up to three years in prison for each count of filing a false tax return. Additionally, Ferry also face a term of supervised release after any prison sentence is completed. Finally, Ferry will likely be ordered to pay restitution to the IRS for amounts that he failed to pay as a result of his alleged fraudulent tax activity. When most people think about tax fraud, they don’t think about simply using a small business bank account for personal expenses. Although it is not illegal to do so, it is illegal for a business to take tax deductions for personal expenses that are not ordinary or necessary in the operation of the business. Business deductions made by small and medium-sized businesses are one of the areas of focus a revenue agent from the IRS will hone in on during an audit. If you have received notice that you or your business will be subject to an IRS or state tax audit, it is in your best interest to seek the counsel of an experienced tax defense attorney. A tax defense lawyer will be present at any interactions with the IRS or state tax authority to ensure that you do not provide any evidence that may be used against you if the case escalates. 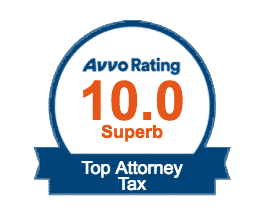 Additionally, a tax defense attorney will work with the taxing authority in an attempt to resolve the matter without sacrificing your freedom or financial health. The tax and accounting professionals at the Tax Law Offices of David W. Klasing have a plethora of experience representing taxpayers from all walks of life on an array of different tax issues. From small to medium-sized business owners to those taxpayers who have not filed tax returns in years, our team of zealous advocates is ready to assist in the development of a strategy that will put your physical and financial freedom at the forefront. Do not let the threat of an IRS audit or criminal investigation cause you to lose sleep. Contact the Tax Law Offices of David W. Klasing today for a reduced-rate consultation.